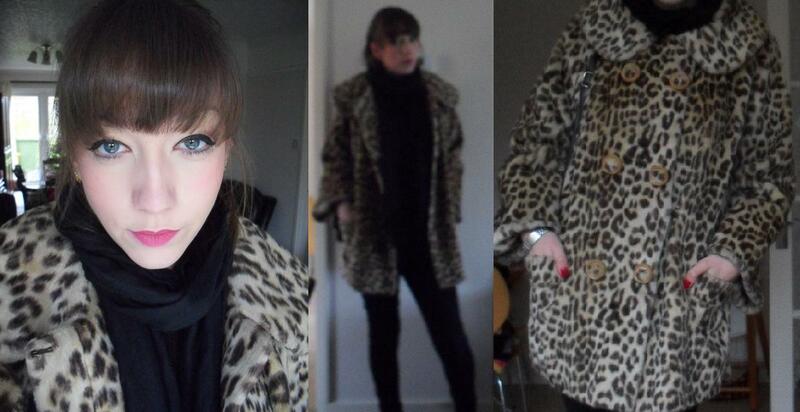 this is the vintage coat i bought from the clothes show in birmingham. it makes me look about 4 sizes bigger than i am on the third photo but it actually isn’t too bad of a fit. today, i went to my nana’s house which is about a mile and half’s walk away from my house. it’s such a cold day and i nearly froze on the walk back home in the dark, as it started raining. i now have horrible earache (truly, it’s agony) from the wind and my nose is about -4°C.